One in three adults has hypertension, also known as high blood pressure. Often called “the silent killer,” high blood pressure tends to go undiagnosed because there are so few symptoms associated with it. Unless regular blood pressure checks are conducted by a doctor, many people who have high blood pressure only find out when other complications like heart failure, stroke, or kidney failure occur. 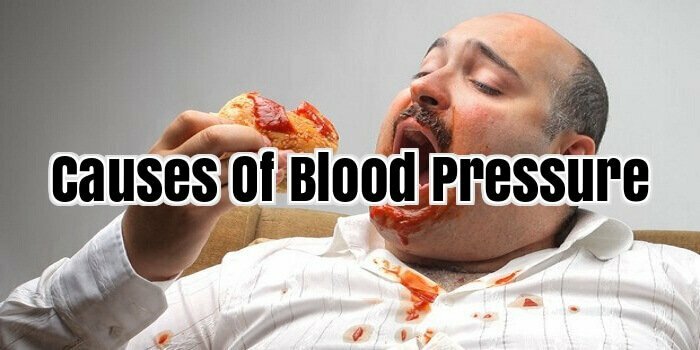 There are a number of factors that can be the cause of high blood pressure. Being aware of these causes can help to prevent high blood pressure completely or lower already elevated blood pressure. There are certain traits and conditions called risk factors that can increase the risk for high blood pressure. The major risk factors are age, ethnicity, being overweight, and having unhealthy lifestyle practices. Age: Blood pressure increases with age. Men who are older than forty five and women older than fifty five are at greater risk for high blood pressure. Ethnicity: Although high blood pressure can affect anyone, it is more common in African-American adults that Hispanics or Caucasians. African-Americans often develop high blood pressure at a younger age, and are more likely to suffer from high blood pressure related illnesses (heart disease, kidney failure etc.). They have a more difficult time successfully treating high blood pressure. Being overweight: Pre-hypertension is more likely to develop in people who are overweight. This is because the heart has to work harder to supply a greater volume of blood to the body. This puts added pressure on the heart and arteries, and can be the cause of high blood pressure. Gender: Women are less likely to have high blood pressure than men. After age sixty, men and women are found to have the same rates of high blood pressure. About 95% of people diagnosed with high blood pressure can find no underlying cause for it. This is known as essential hypertension. Secondary hypertension is diagnosed when a direct cause is identified. For example, tumours on the kidneys, birth control pills that contain estrogens and pregnancy can all cause secondary hypertension. People with blood pressure readings that fall above the normal range will need to take steps to lower it. Pre-hypertensive patients may not need blood pressure medication, and can normally regulate their blood pressure with a healthy diet and exercise. If the cause of high blood pressure can be found, treatment can be tailored to the needs of the patient, and have greater success. Some people may confuse low blood pressure with below-average blood pressure. The average blood pressure is 120/80, so anything below that is below average. That does not necessarily mean the person is unhealthy; in fact, it usually means the person exercises, has a good diet, and has good genetics. Low blood pressure, or hypotension, is only a problem when the top number, or the systolic number, suddenly drops 20 points or more. This drop means that the blood and nutrients will not be able to travel to the vital organs that need it. Sometimes, low blood pressure is not very serious, but other times it can be life threatening. To help prevent hypotension, and to become more aware of this condition, we should first know what causes it. There is no single cause for blood pressure, and sometimes it can be hard to pinpoint exactly what the causes are. One common way people experience low blood pressure is through orthostatic hypotension, which is a scary -sounding name for something that is usually not that serious. Have you ever stood up after lying or sitting down for a long interval and felt dizzy or light-headed? This is orthostatic hypotension, during which the blood settles into the lower part of your body, and the heart must compensate for the blood suddenly missing from your top half. The orthostatic hypotension causes you to feel dizzy and light headed until your heart catches up. Low blood pressure is usually an indication of an underlying condition. Low blood pressure may be a sign of any of several things, including heart problems, endocrine problems, dehydration, blood loss, severe infection, severe allergic reaction, lack of proper nutrients in a diet, or blood pressure-lowering medication. There are many medications that list lower blood pressure as a side effect as well. A woman’s blood pressure is likely to drop in the first 24 weeks of pregnancy. This is normal, and it usually returns to pre-pregnancy blood pressure levels after those first 24 weeks. Blood pressure is something that should be closely monitored during your pregnancy though, because it can lead to severe complications. If you think you are experiencing symptoms of low blood pressure you should talk to your doctor. Hypotension may be a sign of an underlying condition, and it can lead to some horrible health problems. Essentially, when your blood pressure drops rapidly, your body cannot get what it needs, which can do temporary or permanent damage to your vital organs. So if you think you are experiencing low blood pressure, don’t risk it, and see a doctor immediately. By providing you with a wealth of quality information through helpful articles, recommendations, and expert advice, we hope to give you the knowledge you need to become thoroughly informed about what causes low blood pressure. High blood pressure is the level of force that the heart pumps blood into one’s arteries and overall around one’s body. A high blood pressure increases the risk for a stroke, heart failure and kidney failure. Both men and women suffer from high blood pressure. Nevertheless, the causes of high blood pressure in women may be slightly different from the causes of high blood pressure in men. Oral contraceptives may pose a risk for high blood pressure. As a result, women who consume oral contraceptives should do so under the advice and guidance of a doctor. If a woman who takes oral contraceptives, smokes, she significantly increases her risk of high blood pressure and eventually a stroke. Unfortunately, when a woman naturally reaches menopause, the risk of high blood pressure and related complications significantly increases. Menopause causes hormonal changes in the female body. The various hormonal changes; for example, may lead to excess fat which in turn may negatively affect the way one’s body uses salt, thus increasing blood pressure. When a woman gets a hysterectomy, she puts herself at risk for high blood pressure. A hysterectomy is a surgical operation to remove the woman’s uterus. A hysterectomy is linked to high blood pressure because the uterus releases chemicals that help to control blood pressure. When this is removed, naturally, there is a rise in blood pressure. Some women develop high blood pressure during pregnancy; especially near the end of their pregnancy. This type of high blood pressure is called gestational hypertension. Obesity, High Cholesterol, High Sodium Intake, Hereditary, Stress, Obesity, high cholesterol and high sodium intake are some of the causes of high blood pressure in women, because they can clog one’s arteries thus causing the heart to pump blood at a higher pressure. Some people are naturally predisposed to high blood pressure because of the genes they inherited from their family. Stress naturally increases heart beat and constant stress and heightened heart beat can develop high blood pressure. A woman may develop high blood pressure because of underlying medical problems that put her at a greater risk of high blood pressure. Diseases such as chronic kidney disease and thyroid disease may cause high blood pressure. In addition, medications for asthma may cause high blood pressure. Sometimes the cause(s) for high blood pressure cannot be determined. This type of blood pressure is referred to as essential hypertension. This type of hypertension can be very mysterious and difficult to handle. Nevertheless, one simply has to try and eradicate or control risk factors that can affect one’s blood pressure. With essential hypertension, one can help the situation by eating a balanced diet as well as exercising regularly. People who are prone to hypertension tend to be salt sensitive. This means their body cannot deal with excess salt. They can only consume the minimum amount of salt required of their body. As a result, healthy dieting and lifestyle practices are important life preservers.